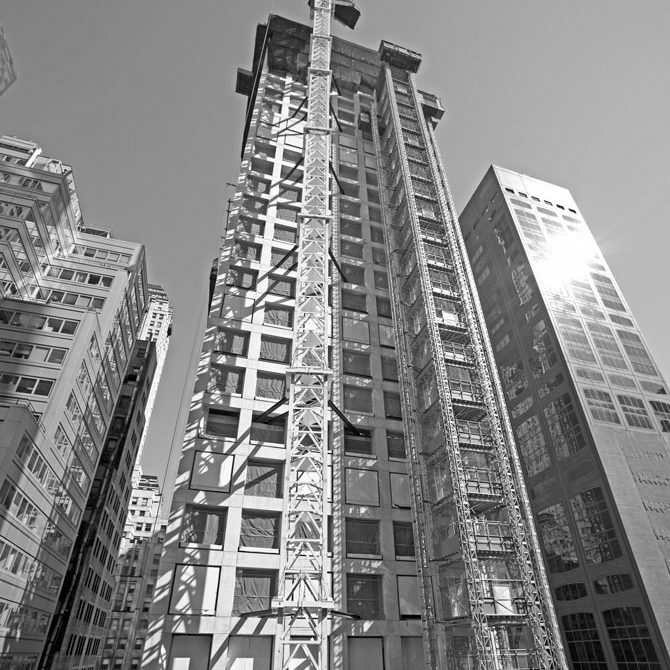 Construction of the 432 Park Avenue tower designed by Viñoly is well under way. 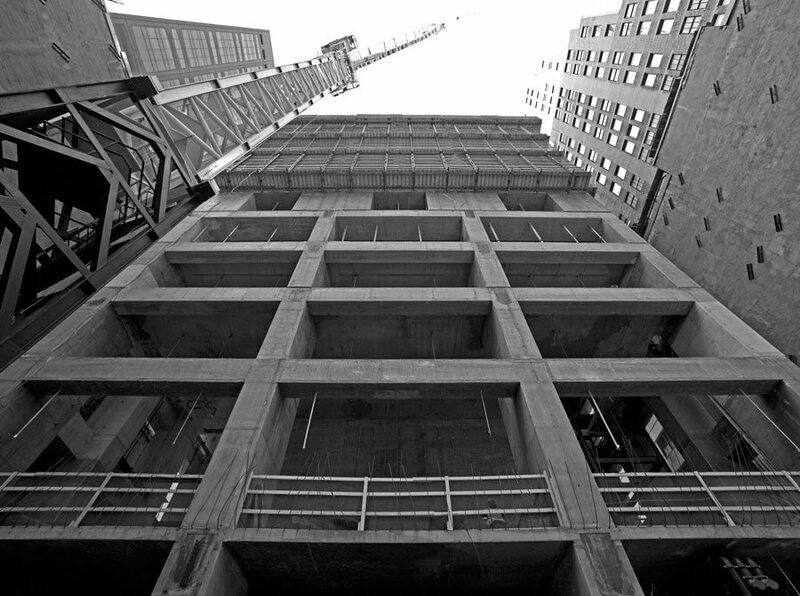 The new residential tower will rise to become a prominent feature of the New York City Skyline from its site on Park Avenue between 56th and 57th Streets. Inspired by the extraordinary qualities of the Manhattan city grid – which through its regularity and modularity both individual expression and flexibility can be achieved – the building is a slender, un-encumbered volume that rises to mark the geometric center of the City’s skyline. The project consists of residences beginning at 340 feet above grade, and two smaller building volumes adjacent to the tower, with frontages on East 56th and 57th Streets and on Park Avenue, will house retail and commercial office spaces.